Welcome to the Zunsport blog! In this post, we thought we'd tell you a little bit about us and give you a brief overview of the car grilles that we specialise in. 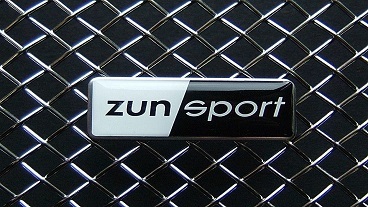 There are several options for car grilles out there, so why would you choose a Zunsport grille? Why Choose A Zunsport Grille? We believe in old-fashioned business values. No chain-store, tick-box, impersonal drudgery for us! Our dedication to personal service keeps our customers happy and our staff motivated. Rather than become 'Jacks of all trades', we decided to concentrate three generations' expertise into one exceptional product line. Our stainless-steel car grilles are crafted from the strongest materials. * We've been supplying grilles to car manufacturers for over a decade - unlike many auto parts suppliers, we are trusted by the big boys! * We are regularly audited by Lloyds Register of Quality Assurance - independent proof of our grilles' high calibre.